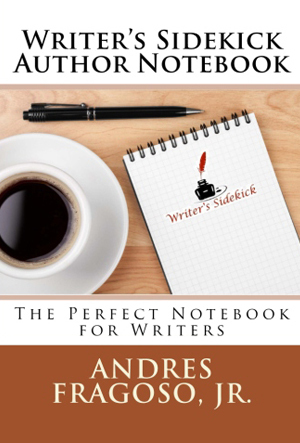 The Writer’s Sidekick, Author’s Notebook is designed to hold all of your ideas, thoughts, and notes, in a simple notebook that you carry everywhere. All you need to do is fill in the blanks and watch other stories start to unfold. This notebook has pages of lined and blank paper for those ideas that come to mind. Take notes on anything that you write for. Line pages are not what you are looking for now. How about some blank pages? A place to doodle, draw, and have fun all around fun. Did you see a person and just had to write them out into a character? Here is the spot for it, we have a prompt, and you fill in the rest. Make it a great character. Sometimes a thought for a story comes along and you have no idea where to put it. Now there is a place for that.